After a very long time followed by a ton of delays, yesterday finally we had, surprisingly, the long awaited Android Marshmallow update for our beloved (or, at least, I think so) Asus Zenfone 2. As a Zenfone 2 user, I was personally waiting for this update since I’m one of the few people on this world who have had no problems with this device in 13 months of usage. First of all, I have a quite bad news for you: according to this post, Android Marshmallow won’t be release as a FOTA (Firmware Over The Air) update. This means that we will never see any notification about automatic updates. Instead, we have to download the firmware from the ASUS website and install it manually on our device. I want to say this is a really easy job, so no worries! But why ASUS isn’t going to release Android Marshmallow through automatic updates? Unfortunately ASUS has never been very clear about the Marshmallow thing so, at the moment, we have no official explanations about this. Anyway, I followed the zentalk forum for a while and during the last 2-3 months I built my own opinion about the Marshmallow situation. I have two personal ideas about this: the first one is that ASUS is not very confident about its Marshmallow update. It is likely that ASUS, for some reasons (maybe the leak of support from Intel? ), has been unable to make a decent Marshmallow firmware for this device. This could be the reason why ASUS delayed this update since yesterday. Consequently, ASUS is probably trying to distribute this update only to an inner circle of people interested in this update in order to test it in the real world and finally release a future stable version of it to the rest of the Zenfone users when it will be ready (if this day will really come). My second idea is that ASUS wants to create two branches of Android updates for Lollipop and Marshmallow in order to make the update to Marshmallow optional avoiding to deprive users of some Lollipop features like the possibility to move apps into microsd (link2sd). 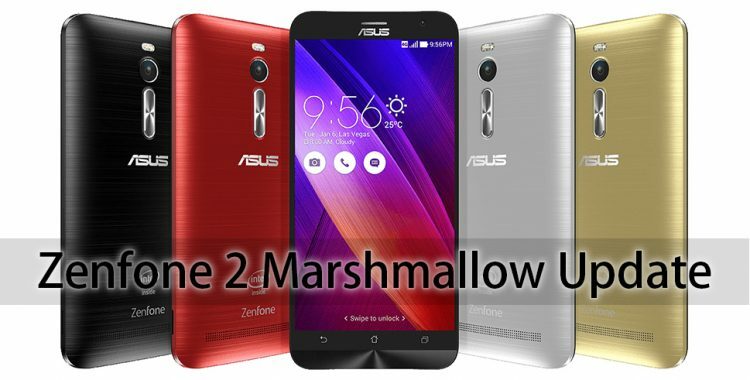 Installing this new Marshmallow update on our Asus Zenfone 2 is pretty easy. – Download the official firmware from here. – Make sure the SKU is matching with your phone. In my case is WW. – Place the downloaded file called UL-Z00A-WW-4.21.40.134-user.zip (if your SKU is WW) into the root directory. After a couple of seconds the phone will notify you for a new update. If you can see this notification reboot your device. – Very Important!! Before the upgrade, please make sure to backup your data. – When you are ready, proceed with the update. It will take about 10-30 minutes to complete. – After the update I strongly recommend you to factory reset (this will delete all your data stored into the device) your device in order to have a clean Marshmallow installation and reinstall your apps later.